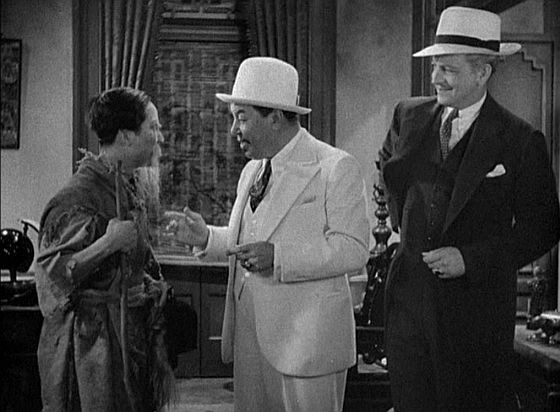 Charlie Chan is surprised by son, Lee, who is disguised as a beggar in Charlie Chan in Shanghai (1935). WEEKLY CHAT/FILM VIEWING: Charlie Chan in Paris starring Warner Oland. Please join us as we discuss this film LIVE, watching it together via personal video! WEEKLY CHAT/FILM VIEWING: Charlie Chan in Egypt starring Warner Oland. Please join us as we discuss this film LIVE, watching it together via personal video! WEEKLY CHAT/FILM VIEWING: We celebrate the birthday of James Hong who portrayed Charlie Chan's Number One Son, Barry, in the TV crime Drama, The New Adventures of Charlie Chan, as we view and discuss two episodes: The Counterfeiters and The Death of a Don, sharing these adventures LIVE, watching them together via personal video! James Hong, who would play Number One Son Barry Chan in The New Adventures of Charlie Chan television series (1957-58), is born in Minneapolis, Minnesota, on this day in 1929. WEEKLY CHAT/FILM VIEWING: Charlie Chan in Shanghai starring Warner Oland. Please join us as we discuss this film LIVE, watching it together via personal video!